Plumstead Twp has four polling locations. #1 Pt. Pleasant Fire Co (Wismer Rd & Pt. Pleasant Rd), #2 Plumstead Fire Co (Rt 611 & Stump Rd), #3 Tohickon Middle School (5051 Old Easton Rd) and #4 Hanusey Park Community Center (4757 Gordon Rd) If you want to confirm your voting district / polling place, please visit www.votespa.com and click on the "where to vote" tab. The Tax Collector does not have an office in the Township Building. Her name is Sherry Labs; her office is 6162 German Road. Her phone number is: 215-766-3785. Click HERE for more information. If you have a complaint or you want to know information (Right to Know), a form for both are on this website. Click HERE for more information on Right to Know. Click HERE for our Resident Concern Form. How can I get in touch with the Board of Supervisors? The Board of Supervisors do not have a desk at the township building. The best way for you to reach them is via e-mail. You can go to the Board of Supervisors page and click on their email link. You can also drop off mail at the township building and we can put it in their mailbox for them to pick up. You can also attend a public meeting, where there is a time for public comment for any item that is not listed on the agenda; at that time you can address the supervisors with your concerns. How can I be added to the agenda? All agenda items need to be addressed by the Township Manager first. You can call the Township, fax, mail or e-mail your information into the Township Manager. Do you sell Discount Tickets to Amusement Parks? Yes. We have tickets for various amusement parks at the Township Building. You can call the Township for prices and availability. (Cash & Credit Cards Only - No Checks/No REFUNDS). The ticket sales usually run between May - September. We also have tickets to Regal Entertainment Group (Movies) that are sold year-round. Do you have information on the Household Hazardous Waste Collection Program? You can call the Bucks County Planning Commission at (215) 345-3400 or visit the County's Website to view the current schedule and information regarding Household Hazardous Waste Collection events. Do you have any Summer Camps for Children? 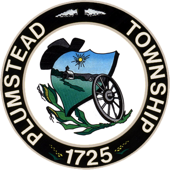 Plumstead Township has "Camp Plumstead". It is five day camp, offered to children entering Kindergarten through 6th grade. It is a 1/2 day camp sponsored by Plumstead Township Park & Rec Committee, consisting of backyard games, sports and crafts. The camp is held at Hanusey Park, usually in July and registration is usually in April or May. Keep an eye on the Park & Rec website for all the details, including registration. Does the Township require Deed Registration?